The first thing people see when they approach your office or business is the landscaping. While it may seem unimportant compared to other aspects of your work, how you maximize the outdoor space you have can impact how your business is perceived. An unkempt lawn sends the message that you don’t really care about the finer things, and lack the attention to detail that potential clients are seeking out. Regardless of what your business is, you want to be sending the right message to anyone you might be interacting with, and with Prolawn Outdoors’s commercial landscaping services the message is received loud and clear: you’ll work hard to impress your clients, just like you work hard to make sure your grass is kept tidy. grass can transform the exterior of an office or business from an unfriendly, uninviting place to a bright and welcoming one; adding a bit of life to your commercial enterprise goes a long way in boosting its curb appeal, which translates into more business for you! Before planting comes planning—the key to successful commercial landscaping is a comprehensive plan that takes into consideration the climate and soil type, as well as your budget, of course. Prolawn Outdoors’s experienced horticulturists will give you a complete rundown of the types of grass that would thrive in your area, given the climate, so you aren’t saddled with grass that are naturally combatting their environment. From there, we will design an irrigation system that effectively delivers moisture to your new grass, making sure that they receive the care and attention they require to truly thrive. Your project does not have to involve many different types of grass, either. If you’re looking for something that requires a bit less upkeep, we have a selection of striking stones and other inorganic materials that make great additions to any landscaping project. For the more adventurous business owner, we can also provide you with a fountain or water-based accent piece, to truly make you stand out. Our job doesn’t end when we’ve put the last plant in the ground, however. In order to keep your landscape looking its best, Prolawn Outdoors recommends our clients set up a regular maintenance schedule, in order to keep your flowers blossoming and your grass even and green. After the project is complete, we’ll continue delivering the same friendly and efficient service you’ll have gotten used to during the construction period. You can count on us! 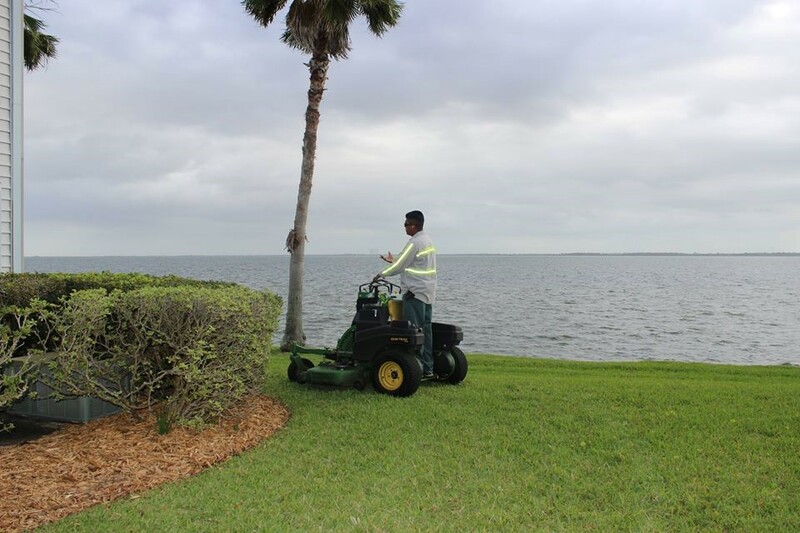 We understand that as a business owner you have a lot on your plate, so if you opt to do your own maintenance, we’ll set you up with grass that require less hands on attention, so they’ll continue to flourish even if you don’t dedicate whole swaths of your day to their upkeep. Grow Your Business, Contact Prolawn Outdoors Today! Whether you’re looking to get a beautiful landscape set up outside your business or need to schedule regular lawn maintenance, Prolawn Outdoors is there for you. Don’t let your first impression be marred by an unappealing, boring landscaping. Give Prolawn Outdoors a call today to find out how we can help your business bloom!